Who Won Last Night’s Debate? My View. It’s rather interesting: in all four debates, no matter who was debating (Romney or Ryan versus Obama or Biden) or who the moderator was, somehow the Democrat was given more time four times out of four. Now, I remember that Janet Jackson “wardrobe malfunction” that many people thought was very, VERY deliberate. But here’s the thing: that was a one-off moment. If Janet Jackson had done four Super Bowl halftime shows and had a “wardrobe malfunction” every single time, I don’t think most people would conclude anything OTHER than that it was very, VERY deliberate. And for that very reason I can assure you that Obama-Biden getting more time in every single debate four times out of four was a very deliberate and intentional nod by the media to the Obama campaign. I suppose there is ONE other possibility; and that is that both Barack Obama and Joe Biden are rude, nasty rat bastards and they simply interrupted their opponents and then kept talking and talking. But that doesn’t explain why Obama got more time when everybody agrees the man was ANYTHING but aggressive. And then you add Candy Crowley feeling that urgent need to take Obama’s side in that second debate and, well, when it comes to bias you ought to get the picture in crystal clear, high definition format. As we enter tonight’s debate, we find that Bob Schieffer literally wrote the book on Ronald Reagan. The title – Ronald Reagan and the Supporting Players Who Helped Him Create the Illusion That Held America Spellbound – ought to convey the arrogant liberal tone of the hit piece. And Schieffer is also on the record for obsessing over what he demagogues as the GOP obsession. So it’s not like he’s fair or objective anything. So Romney starts out with that disadvantage of being a Republican right from the starting gate. But nothing the media did stopped Romney from using the first debate to mop the floor with Obama’s face. I mean, when you win a debate by fifty freaking points, you ought to be able to samurai-slice your opponent’s head off his shoulders at the end of the evening. In the second debate, CNN’s post-debate poll said that Obama won the debate. But if you actually looked at that poll, Romney won OVERWHELMINGLY on who would better handle the economy, who would better handle health care, who would better handle taxes, who would better handle the deficit and the debt, the answer was Romney across the board. So unless you don’t care about the economy, or jobs, or debt, or health care, and all you want is a debator-in-chief, Romney won that second debate, hands-down. And the clearly biased moderator couldn’t help Obama then, either. I didn’t see such a post-debate breakdown on issues in this third Obama-Romney debate. But I do know that, like the second debate, a hardly overwhelming majority believed Obama won according to the CNN poll. Frankly, I can see that. Obama was considerably more aggressive, and “somehow” managed to get more time to talk, too. Romney also could have been better, and after that pathetic first debate we all know that Obama could have been a whole hell of a lot worse. I’ve got a theory on the debates that seems to fit the facts: namely, the guy in the biggest trouble is the one who comes out the most aggressively. When Obama came out in debate #1, he had an overwhelming lead in both the national and the swing-state polling. And Obama apparently decided he didn’t need to show up. That debate changed the political universe such that in the second debate, it was Obama who was behind and damn he needed to come out and perform or the Romney landslide from debate #1 was going to roll right over his presidency. The polls didn’t budge, and if anything Romney’s momentum had increased to the point where he went into debate #3 with a six-point lead according to Gallup. For the record, that Gallup Romney lead is THE most dominent since 1968. 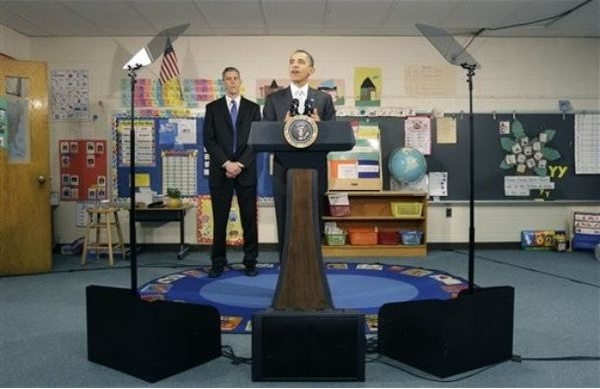 And so sure as shooting, a desperate Obama came out aggressively and ready to be nasty. Romney did not fall for that trap. He stayed away from being the warmongering ogre that Obama falsely tried to depict him as being. What Romney DID need to do he accomplished: he presented himself as a man whom the majority of Americans could see as commander-in-chief. He had to show that he knew enough to be commander-in-chief; he had to show that he wasn’t a warmonger; and he had to appear presidential. I would argue that he succeeded on all three fronts. What did Obama have to do? He had to shatter Romney’s momentum. And while the next five days will decide rather than me, I submit that Obama failed to do that. And so the winner is Mitt Romney. 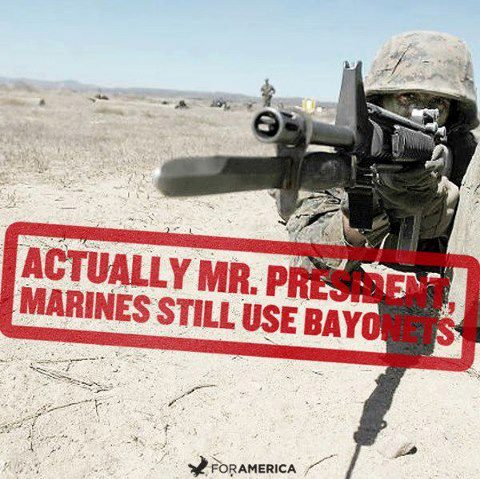 It’s too damn bad that Obama was too damned ignorant and self-absorbed to send some bayonet-equipped Marines to Libya so they could have saved the lives of our ambassador and the three other Americans who were murdered. Which is another way of saying pretty stupid fricking analogy, Obama. And given that Obama himself was so completely IGNORANT of the military as president that he once repeatedly used the term “corpse man” to refer to a Navy medic, I don’t think his asanine arrogant tone has much virtue. Jack Lew and Rob Nabors both work for the Obama White House. 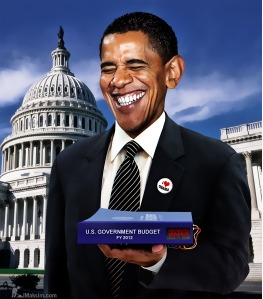 And sequestration was all their – and therefore all Obama’s – idea. It’s just so fitting that the lying weasel-in-chief would try to disavow that. In another highly contentious moment, Obama was the liar and Romney was the truth teller. Romney was correct about his statement that he did in fact argue that the government should have a role in helping the auto companies in bankruptcy.